The World Champions travel to the Netherlands knowing that a point will be enough to confirm them as Group A1 winners. 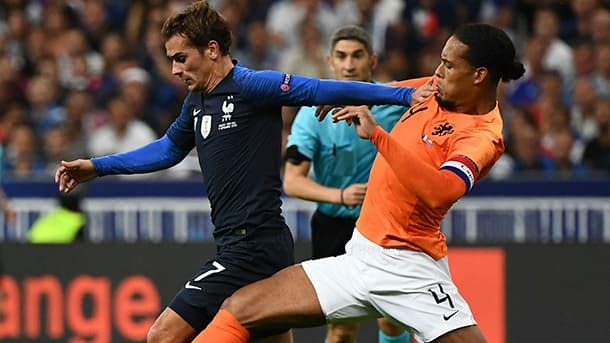 For the Dutch the equation is rather more complicated – they need to beat France in Rotterdam and then Germany in Gelsenkirchen on Monday night. Naturally, the smart money is on the French putting it to bed at the first attempt, and such is the aura surrounding Didier Deschamps’ side it’s hard to see past another win for Les Bleus. The Dutch, however, are in a very different place, having missed out on Russia by finishing behind Sweden and France in their qualifying group, but under Ronald Koeman, there have been positive signs for de Oranje. In fact, an upturn in form has seen them lose just one of their last eight games, the reverse fixture against France back in September which Deschamp’s men won 2-1. Part of the Koeman masterplan is to offer the floor to some of the country’s talented youngsters and players like Matthijs de Ligt and Denzel Dumfries have been given game time with a view to them being the team’s core moving forward. Also, bigger names like Memphis Depay – now at Lyon – are finally starting to deliver. For some great bets with value odds, try one of our recommended online bookmakers listed below. The French go into the game without the injured Manchester United duo Paul Pogba and Anthony Martial, with Arsenal’s Alexandre Lacazette also being an eleventh-hour absentee through injury. This Friday’s game will be the 28th meeting between the two sides with, to date, the French winning 14 and Netherlands 10, but more pertinent is that the French have won the last five games between the two sides. All of which makes for an intriguing night in Rotterdam, especially as a month ago a similarly youthful Dutch side beat the Germans 3-0 on home turf. 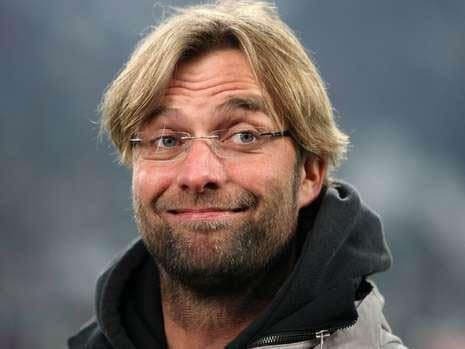 Koeman will be relying on his men to tap into that same rich vein of form. So, while the French clearly start as favourites, we believe this new-look Dutch team have enough energy in the tank to earn themselves a point – especially with a draw being sufficient for the visitors – and at 27/11 3.45 +245 2.45 2.45 -0.41 with 188bet this looks well worth a shot. We also have a hunch that Memphis Depay – playing against some of his Lyon team-mates – will get on the scoresheet 39/20 2.95 +195 1.95 1.95 -0.51 with 888sport. With both teams still in with a shout of securing top spot in Group 4B, the stakes are high in Cardiff. 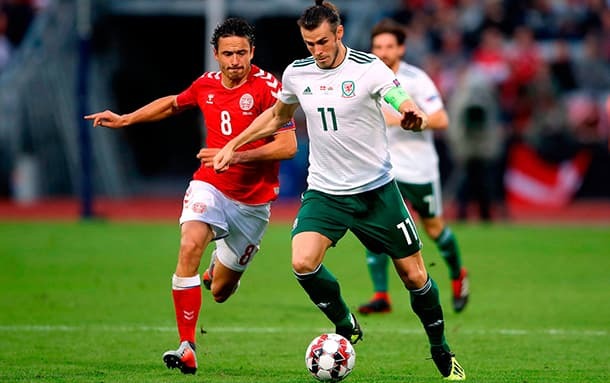 Victory for Ryan Giggs’ Wales would seal the deal, but Age Hareide’s Danes have a little more to do and need to avoid defeat against the Welsh and follow it up with a win over the Republic of Ireland on Monday. Giggs’ reign in charge of Wales has been mixed, but it’s worth noting that despite painfully losing to both France and Spain in friendlies, he has only lost one competitive match – 2-0 against the Danes in Copenhagen in the reverse fixture, won thanks to a Christian Eriksen double. But Denmark have a formidable defence and have kept a clean sheet in nine of their last 12 matches and exited the World Cup without losing a match in normal or extra time. So, it’s not going to be a high-scorer and we have a hunch that even with Gareth Bale in the side, the Welsh will find the Danes a tough nut to crack. We’re tempted by the goalless draw but with Bale in the side the Welsh do have a goal in them (Bale is 7/2 4.50 +350 3.50 3.50 -0.29 with 188bet to score first), and so we’re going for a 1-1 21/4 6.25 +525 5.25 5.25 -0.19 with 888sport.